Today I was scheduled to interview with Howard County Board of Education candidate Vicky Cutroneo on Scott E’s Blog Talk Radio Show. Unfortunately she was unable to make it onto the show this morning and we have rescheduled the interview for Wednesday February 17th at 1:00pm (time updated). 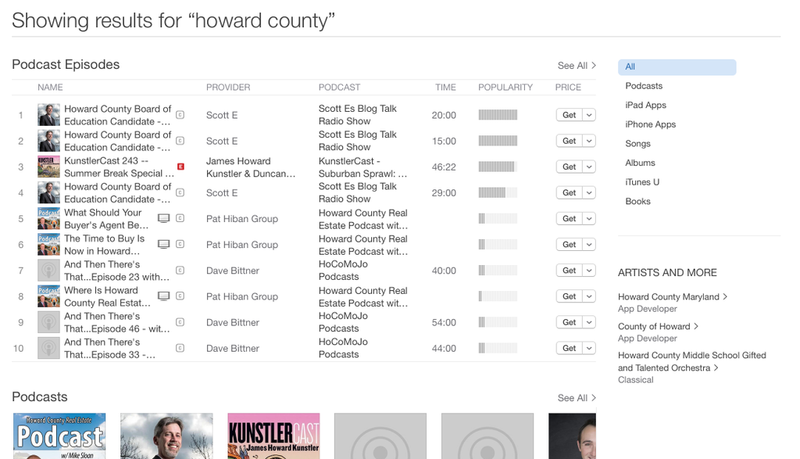 On a related note…if you search iTunes for “Howard County”, the top listed items “based on relevance and popularity” are the previous interviews conducted with Board of Education candidates. Pretty cool…and I think it is great that people are listening and learning about the candidates.